The staff was knowledgeable and friendly. And the doctor was very thourough and ask all the right questions . She evenpointed out things about my illnesses to make sure I was aware of them. And this was my first visit. Excellent care I received today! The staff was knowledgeable and friendly. And the doctor was very thourough and ask all the right questions . She even pointed out things about my illnesses to make sure Iwas aware of them. And this was my first visit. Excellent care I received today! 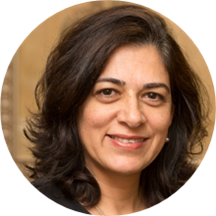 Sepideh Tafreshian is a mindful and diligent family physician serving the community of Pleasanton, CA. Dr. Tafreshian attended Islamic Azad University, Tehran Faculty of Medicine, where she received her medical degree. She then completed both her internship and residency at San Joaquin General Hospital. Dr. Tafreshian is a part of John Muir Health. She is board certified by the American Board of Family Medicine. Because Dr. Tafreshian is bilingual in English and Farsi, patients from a variety of backgrounds enjoy having her as their physician. Dr. Tafreshian is devoted to ensuring the longevity of her patients’ health and developing long-lasting relationships with them. She takes her time to understand symptoms and give correct diagnoses to ensure the continued health of all her patients.